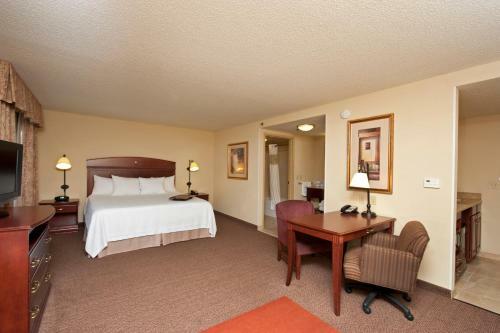 Just a 10-minute drive from Bloomington/Normal Airport, this 3-star hotel offers rooms with 32’’ HDTVs and free Wi-Fi. 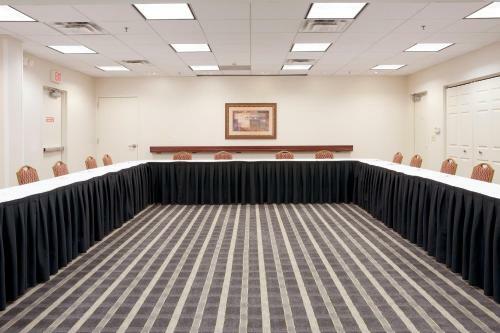 It has an indoor swimming pool and a fitness center. Wake up to a hot breakfast featuring a variety of items, juice and coffee. If you are in a rush, simply grab one of the Hampton's On the Run breakfast bags for a quick, healthy meal to go. 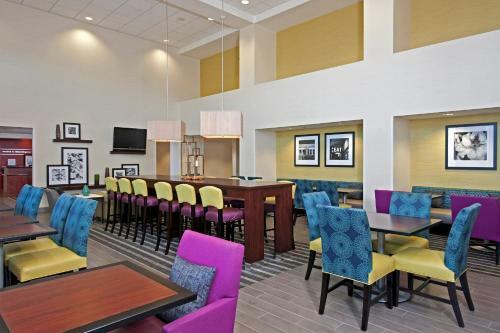 All the air-conditioned rooms and suites at this Bloomington Hampton Inn have a seating area and hot-drink facilities. 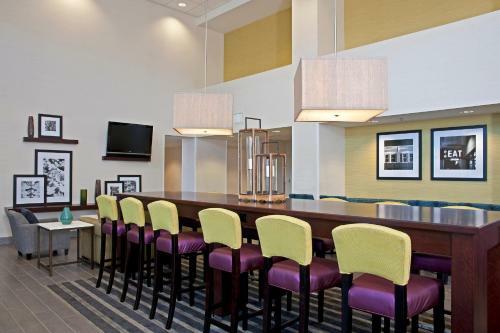 Each comes with a work desk and free wired internet connection. 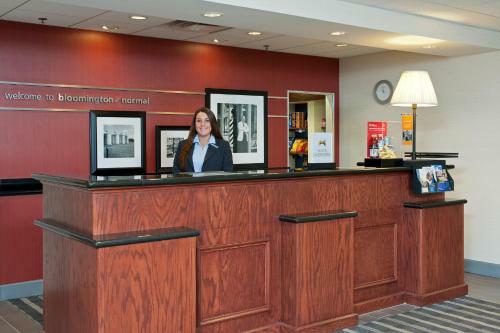 Hampton Inn & Suites Bloomington/Normal, IL provides fax and photocopying services in its on-site business center. 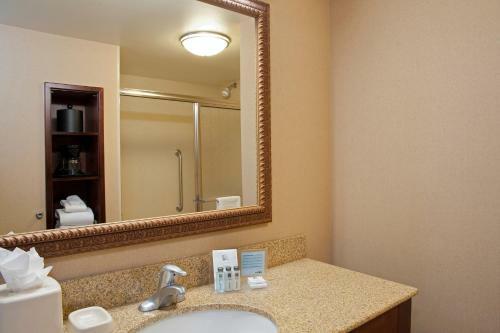 Laundry and dry cleaning can also be arranged with the hotel’s staff. 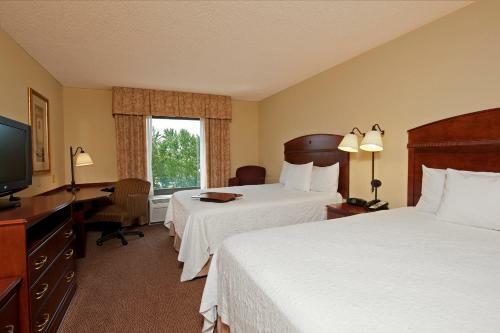 The Bloomington Hampton Inn & Suites is located 4.5 miles from the Miller Park Zoo and 1.2 miles from Children's Discovery Museum. 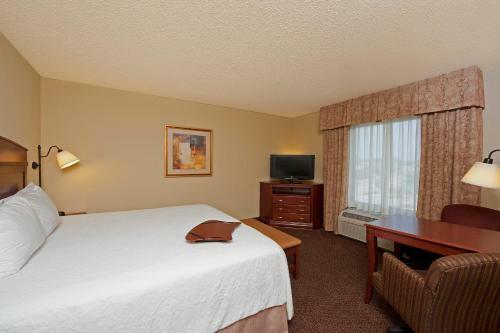 the hotel Hampton Inn & Suites Bloomington/Normal, IL so we can give you detailed rates for the rooms in the desired period.